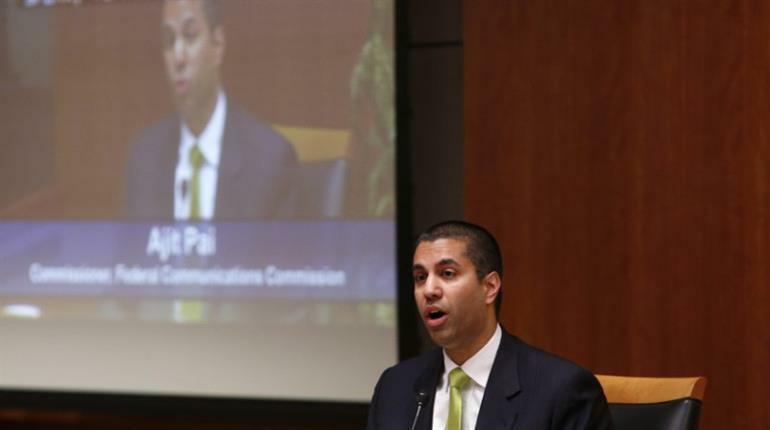 President Donald Trump on his first official workday in office, chose the only Indian-American on the Federal Communications Commission, to head the agency. Ajit Pai was formally tapped by President Trump to become chair of the FCC, the agency that regulates interstate and international communications by radio, television, wire, satellite, and cable in all 50 states, the District of Columbia and U.S. territories. An independent U.S. government agency overseen by Congress, the commission is the United States’ primary authority for communications laws, regulation and technological innovation. 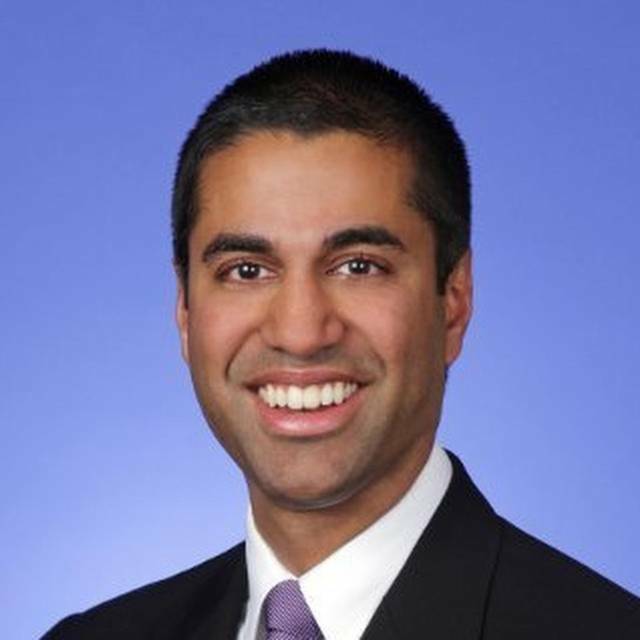 “I am deeply grateful to the President of the United States for designating me the 34th Chairman of the Federal Communications Commission,” Pai said in a statement posted on the FCC website. “I look forward to working with the new Administration, my colleagues at the Commission, members of Congress, and the American public to bring the benefits of the digital age to all Americans,” Pai added. Pai was the senior Republican on the FCC and was nominated to the the agency by former President Barack Obama and was confirmed unanimously by the United States Senate in May 2012. Pai will not require Senate confirmation because he was confirmed as a member of the FCC back in 2012. His regulatory philosophy as outlined on the FCC website less regulation. “Free markets have delivered more value to American consumers than highly regulated ones,” he contends, and warns that regulators should be “skeptical of pleas to regulate rivals.” But he concedes the FCC is a “creature of Congress” and must respect laws set forth by the legislature, and must do its best to work on the basis of consensus. “Good communications policy knows no partisan affiliation,” he believes. 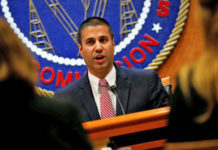 He is known for having vehemently opposed the FCC’s “Open Internet” rules, popularly called “net neutrality” which were adopted in February 2015, and went into effect in June 2015. “The Open Internet rules are designed to protect free expression and innovation on the Internet and promote investment in the nation’s broadband networks,” according to the FCC website. The rules are meant to ensure consumers and businesses “have access to a fast, fair, and open Internet,” the FCC says. “The Commission’s decision to adopt President Obama’s plan marks a monumental shift toward government control of the Internet,” Pai said in his Feb. 26, 2015 statement opposing the Open Internet rules. “It gives the FCC the power to micromanage virtually every aspect of how the Internet works. It’s an overreach that will let a Washington bureaucracy, and not the American people, decide the future of the online world,” Pai said. Pai immigrated with his parents from India and was brought up in Parsons, Kansas. An honors graduate from Harvard University in 1994, Pai also has a degree from the University of Chicago Law School in 1997, where he was an editor of the University of Chicago Law Review and won the Thomas R. Mulroy Prize. 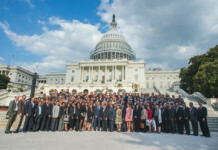 In 2010, Pai was one of 55 individuals nationwide chosen for the 2011 Marshall Memorial Fellowship, a leadership development initiative of the German Marshall Fund of the United States. Over his career, Pai has served on Capitol Hill in the U.S. Senate Judiciary Committee, and was also a senior counsel in the Justice Department’s Office of Legal Policy. He has also worked in the private sector. He now lives in Arlington, Virginia, with his wife, Janine; son, Alexander; and daughter, Annabelle.